Tucson Daily Photo ~: Tucson wildlife encounter - an eyas! 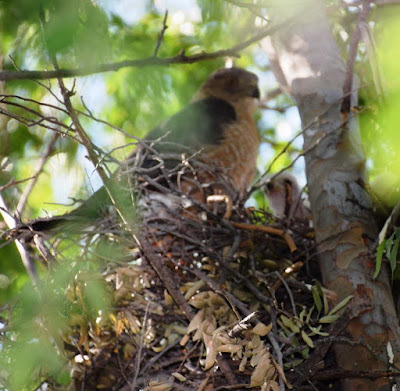 Look closely and you will see the Cooper's Hawk keeping watch over a little white eyas (baby hawk). To hear the call of this beautiful predator and to see more photos of it, click here.